1. Dissolve the dry yeast in warm water. Add the sugar and let it rest for 5 minutes. 2. Take a pan, heat the milk and add butter. Cook until the butter gets melted. 3. In a large bowl, sift the flour and add the salt, yeast solution, and the milk-butter. Knead for about 10 minutes until the dough becomes smooth and soft. 4. Divide the dough into 8 small balls. Using your fingers, roll out each ball like a pencil shape of about 30 cms. 5. 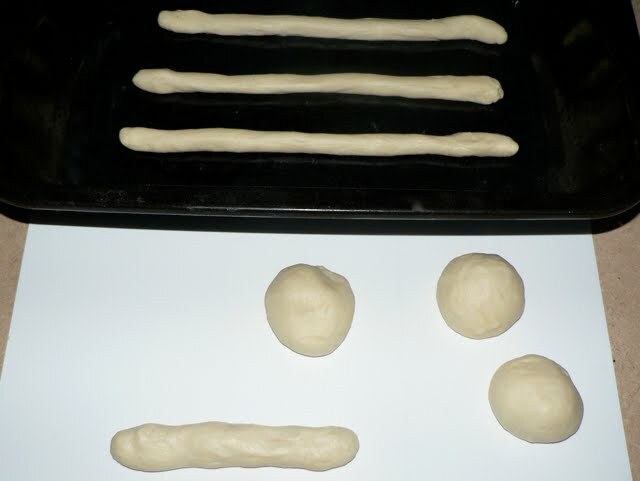 Place the pencil shaped dough on a greased tray, four at a time, and leaving a distance of about 3 cms between each. 6. Cover the tray with a kitchen towel or Foil and let it rest for about 20 minutes. 7. Brush the surface with cold water. 8. 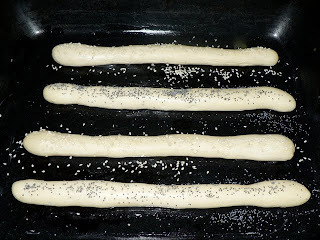 Sprinkle poppy seeds and sesame seeds. 9. Preheat the oven to 210°C and bake the bread for about 10-15 minutes until golden and crispy. 10. Remove the tray and let the Grissini come down to room temperature. 11. Meanwhile, repeat the process for the second tray. 12. 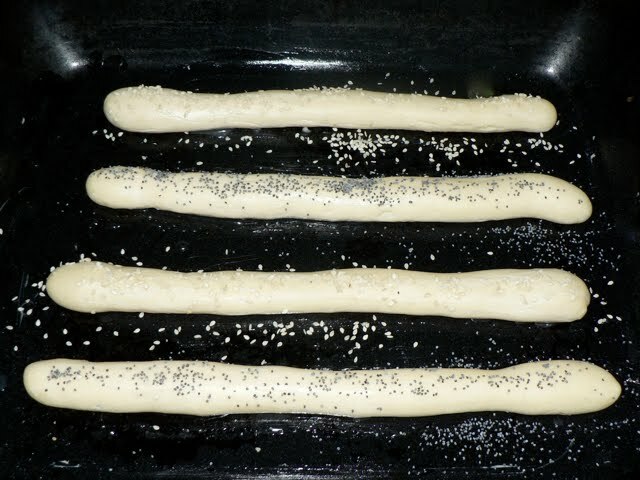 Reduce the oven temperature to 180°C and bake the Grissinis for again about 5-10 minutes, until they get dry and crispy. 13. Serve it with Soups or Salads. 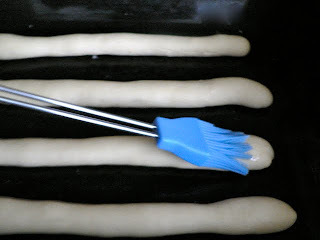 There are a wide range of ways to serve grissini. A platter of them on the table is certainly appropriate, and they can also be used as appetizers. They may also be eaten out of hand like a snack, and the more bready versions can almost make a meal in and of themselves, especially when dressed with ingredients like Parmesan. 1. Grissinis stay fresh and crispy for about a week in an air tight box. There is no need for reheating them in oven! 2. 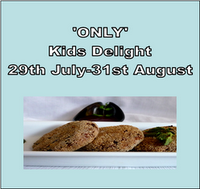 Kids love its shape and its a perfect snack for them ! This Italian bread goes to the Bread Baking Day # 32, created by Zorra of 1 x umrühren bitte. This has been on my to-do list for a long time. Thanks for the entry. They look fabulous. rashmi delicious grissini and very well explained the recipes with pics..
Hey reshmi, chanced upon your blog while surfing the web..liked your style of blogging..especially your baking skills..have bookmarked your site ..will be visiting often.. When you find time do visit my blog and I would like to invite you to participate in the events CID-2010 and DNSW: A by sending your special recipes. First time here...beauutiful space you have here...lovely recipe collections. All are real feast to the eyes and stomach. Will have to come back leisure to enjoy the older posts. never heard of this before... perfectly done and yummy! Thanks for the entry dear, perfectly baked!! Good idea to make them big and fat. Love'em! Thanks for participating in BBD. These look awesome... just like the Italians do! Thanks for stopping by my blog. I love yours and I am following it now. thanks dear for trying out my garlic rolls.. 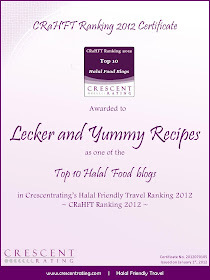 I never thought that my trial will become a great hit in the blogsphere.. anyways I am happy that I did that.. Yesterday I made Hawaian Pizza and with the remaining dough I made this bread stick.. It came out well... Thanks for sharing it dear.. I enjoyed with soup.. I always admire people who bake breads..I am a big fan of U and Ayeesha..I have to study a lot from both of u..